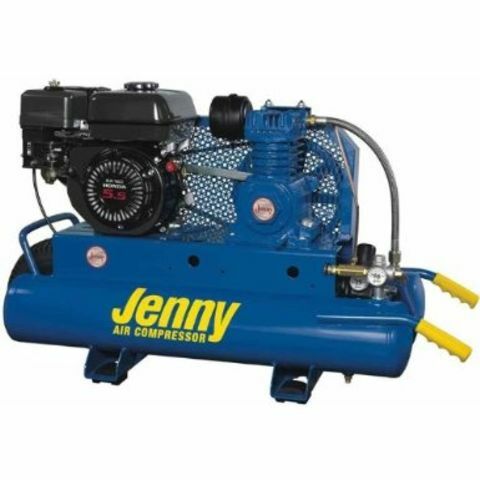 This 8 cfm air single-stage compressor rental is powered by a 5 HP Honda gas engine, delivering 9.8 cfm at 40 psi, 8.9 cfm at 100 psi and 8.6 cfm at 125 psi. So it's a good choice to provide power to smaller hand tools. Although it weighs 165 pounds, this model has a "wheelbarrow" frame with handles and single pneumatic tire make it easy to transport the air compressor rental around a work site.